Japan’s economy is the world’s third-largest and second–most-sophisticated, accounting for nearly 10% of global economic activity. It has the lowest unemployment rate among leading industrial nations and, at the same time, a large and growing manufacturing presence around the world. Yet it has frequently been portrayed as an economic disaster — an Asian Greece or Argentina — on the verge of collapse and threatening to take down the world economy with it. This view of Japan, long promulgated by Western media, is utterly wrong. Unlike China, Japan has a modern, well-established legal system that increasingly protects contracts and intellectual property. 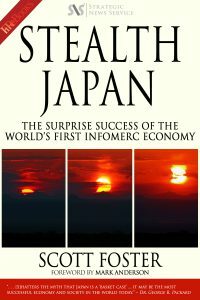 The forced technology transfers of the last century have been replaced with an offshore-export–driven Japan that is nearly invisible to the rest of the world — a fact not lost on the country’s leaders. For decades, as the media has focused on internal GDP and demographic figures, Japan’s business and political leaders have continued to favor the export-driven economics central to their post-WWII planning. In almost every respect, these plans have now succeeded: today’s Japan is both onshore and offshore, its workers both Japanese and foreign, its production worldwide, and its income both domestic and in countries beyond GDP calculations.